You may have heard people warn that pregnant women shouldn’t lift anything over their head or objects that are heavier than ten pounds when pregnant. These are warnings that still make the fitness trainer rounds when working with pregnant clients, yet neither is based in fact. There’s no evidence for warning a pregnant women to avoid lifting over their head unless it causes discomfort or balance issues. The ten pound limit is even more questionable, as ten pounds would be too heavy for some women and as easy as a feather for others. It’s important to always remember that each pregnant woman has a specific fitness level and ability, so setting arbitrary limits are a ineffective way to provide guidelines for this population. In addition, when confronted with statements such as these, always review the research that supports the claim before implementing the information into your training guidelines. 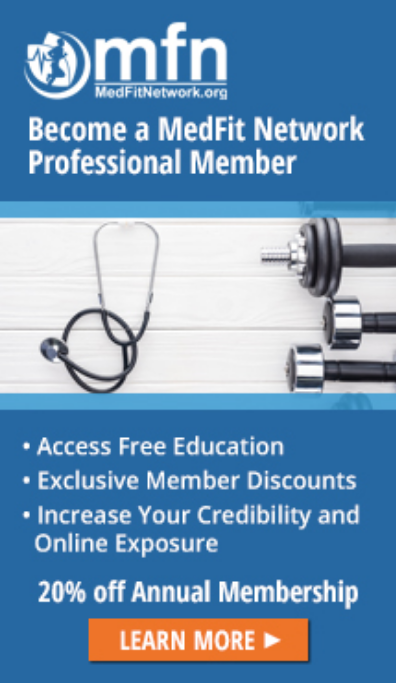 Many women choose to continue their pre-pregnancy strength training program while they are pregnant to maintain muscle strength and endurance, and most women may safely start strength training during their pregnancy as long as they are cleared for exercise by their healthcare provider. 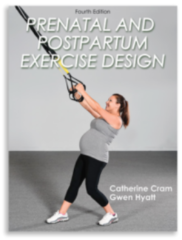 When developing a pregnant woman’s fitness program you should take into account her current level of fitness and strength and pay close attention to how she feels during and after exercise. The key to maintaining a safe and effective routine is through consistent modification of the routine as pregnancy progresses, enabling your client to continue exercising without discomfort. A gradual reduction in weight loads from pre-pregnancy will likely occur as the pregnancy progresses. Women may continue their pre-pregnancy strength training routine (wt/reps/set) as long as they modify the exercises for comfort as pregnancy progresses. If training causes muscle soreness during the pregnancy, it is recommended that overload be progressed by increasing the number of repetitions versus the resistance/wt. Monitor exercise technique carefully by mirror observation or supervision in order to correct for progressive postural changes that occur with advancing pregnancy. Improper lifting techniques may aggravate back problems and increase soft tissue injuries. Avoid maximal static lifts. They may cause a sudden increase in cardiac output and blood pressure, and employ the valsalva maneuver. During the valsalva maneuver there is a significant diversion of blood from the internal organs (such as the uterus) to the working muscles. Maximal lifts may also place extreme stress on the lumbar spine and other joint areas. Never overload an unstable or weakened joint. Modify supine positions after the first trimester of pregnancy by using an incline board or wedge. A strength-training workout involving all the major muscle groups should be performed three times per week, with a rest day between each muscle group training bout. Strength training machines are generally preferred over free weights because they tend to require less skill and can be more easily controlled. Resistance bands provide a safe and inexpensive alternative to weights and equipment. Instruct your client to listen to her body. If it hurts or does not feel right, do not do it. She should exhale with the lift and avoid holding her breath or bearing down and straining as she lifts. If a particular exercise produces pain or discomfort, it should be discontinued. If pain persists the client should consult with her healthcare provider.